With stunning architecture, some of the world's most beautiful beaches and culture to-boot, it's no wonder Europe is the first place many North American travelers flock to. Though airline tickets and hotel prices have gone up, it's still possible to enjoy all the benefits of France, England, Italy and Germany while holding on to a little cash. Ready for the trip of a lifetime? Follow these five simple plans for expert budget travel in Europe. Budget Travel in Europe Tip #1: Choose your dates wisely. Summer can be beautiful in Europe. It can also be sweaty, packed to the gills and expensive. Instead of giving up all your dough in exchange for some sunlight, try being flexible with your travel dates. A winter trip might mean a few extra layers of clothes but it also means fewer tourists, beautiful basilicas and charming holiday markets. Budget Travel in Europe Tip #2: Be smart about cross-continent travel. Americans fly everywhere; the golden age of airfare is just in our culture. But across the pond the train is a much more popular option. Instead of country hopping via plane, grab a Rail Europe pass. They have several options that include hopping on and off in the cities of your choice. Budget Travel in Europe Tip #3: Travel outside of the box (or map). London, Paris, Rome... everyone has a few major cities to see on their checklist. For more wallet-friendly budget travel in Europe, look to the lesser visited but still fantastic cities. Prague, Brussels, Milan, Düsseldorf and tons of other cities are just waiting for you to visit. Don't be afraid to book hotels in these more affordable places while taking day trips to your check-off cities. Budget Travel in Europe Tip #4: Find a home away from home. Before you leave, decide what kind of traveler you're going to be. If you're more of a backpacker, there are selections of websites that can help you find a hostel. If you need a cozy, cushy space to lay your head at night, you can score great deals doing a home stay or home trade. Either of these options greatly outweigh paying out of the nose for a hotel and both are great for a budget traveler in Europe. Budget Travel in Europe Tip #5: Eat like a European. 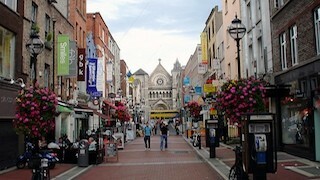 Supermarkets, farmer's markets and mom and pop carts line the busy streets of most European cities. Instead of paying full price plus tip to sit through a leisurely meal, save time and cash by bringing home a few groceries from the local market. Think of the fantastic picnics you can have lounging on the grass of one of Europe's infamous parks. Or spend a little time getting to know your home stay or hotel with a quick bite. During the winter, holiday markets are a great place for take-away meals and inexpensive mulled wine. Photo by divemasterking2000 via Flickr.